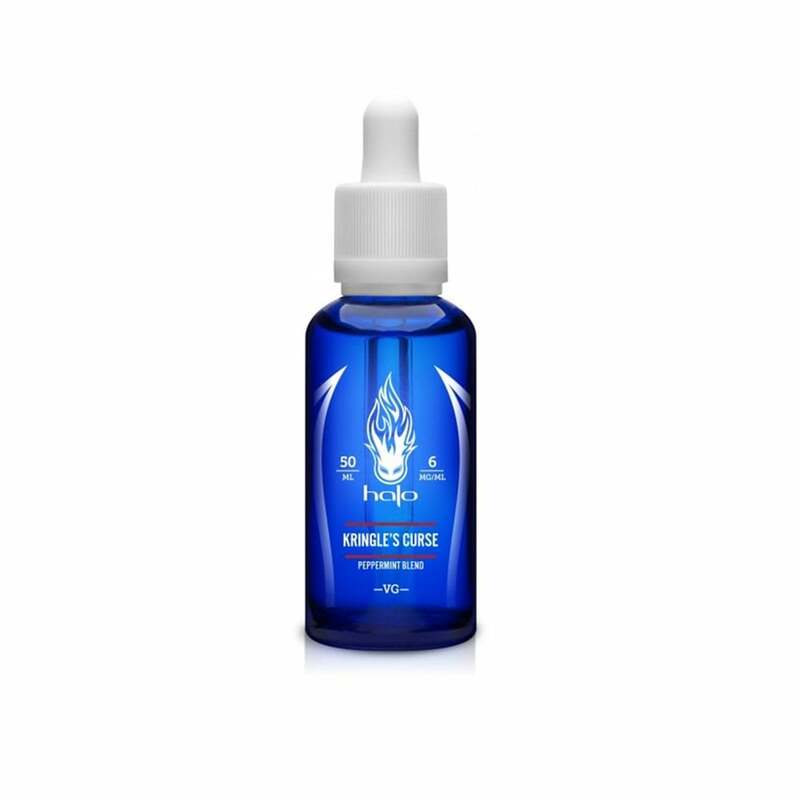 This tinglingly delicious vape juice is more intense that your traditional menthol and will offer a fresh peppermint sensation with every inhalation. Halo's Kringle's Curse is another member of the Halo e-liquid family to have won the prestigious "Spinfuel Choice Award." The Halo Kringle's Curse Flavor is on point and tastes exactly like rich peppermint. It smells better than it tastes though. It's also a bit harsh because it's lacking a strong menthol flavor. This flavor is only peppermint without the chill factor of menthol, so it's not exactly what I was looking for. I'm going to keep searching for a better peppermint-based menthol flavor instead. I recommend choosing the lowest 1.5% nicotine option because it's harsh even at 3mg. Exactly the mintiest mint I was looking for. If you like menthol, this is the ultimate. ET has the best products at the best prices.